This page shows the latest Well Pharmacy news and features for those working in and with pharma, biotech and healthcare. 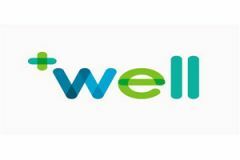 Healthcare advertising agency Langland has rebranded the Co-operative Pharmacy under the new name of Well. ... the idea of a well being a central feature of a healthy community. Work carried out by advertising agency Langland. The UK's Co-operative Pharmacy has rebranded under the new name of Well. ... the idea of a well being a central feature of a healthy community. .
pharmacy was poised to play a wider role in the region's healthcare ecosystem. ... Wellness requires you to start to intervene with people who are healthy and well, he added - pointing out that this is something for which pharmacy is already well-placed.